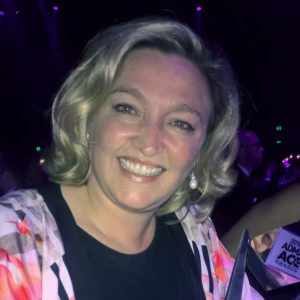 In the two decades since he took the helm, Ewan Morton has turned a small family agency into a multi-award-winning industry leader, as Rockend’s Catherine Vissiere discovers. The desire for excellence has always been at the crux of what gets Ewan Morton out of bed every day. It is this relentless drive that has helped the 50-year-old turn the fledgeling family real estate business he co-founded with his father Mark 22 years ago into the burgeoning real estate and property management operation Morton is today. Starting with a single office specialising in residential property, Morton is now considered one of Sydney’s leading independent agencies, with more than 85 team members spread across eight separate sites. Always seeking to challenge convention, in 2013 Ewan made the bold decision to introduce an employee share scheme to incentivise his team. The company has always been about growth, and Ewan has always ensured he led from the front. He has helped the agency secure numerous industry awards for everything from general business excellence, being an eight-time winner of the REI Large Agency award, to expertise in property marketing. The entrepreneurial spirit hit Ewan early; he started his first business – in gardening and rubbish removal – while completing an economics degree at the University of Sydney. Eager to learn from the best, he set his sights on securing a place in the prestigious IBM graduate program, a goal he achieved just months after graduating. “I did the IBM graduate program for 12 months; it was full on, it was tough and it wasn’t necessarily enjoyable. But I really credit it for giving me resilience, discipline and exposing me to a much bigger world. I learned a lot working there that I was able to bring into my thinking for how I wanted to run Morton,” he says. 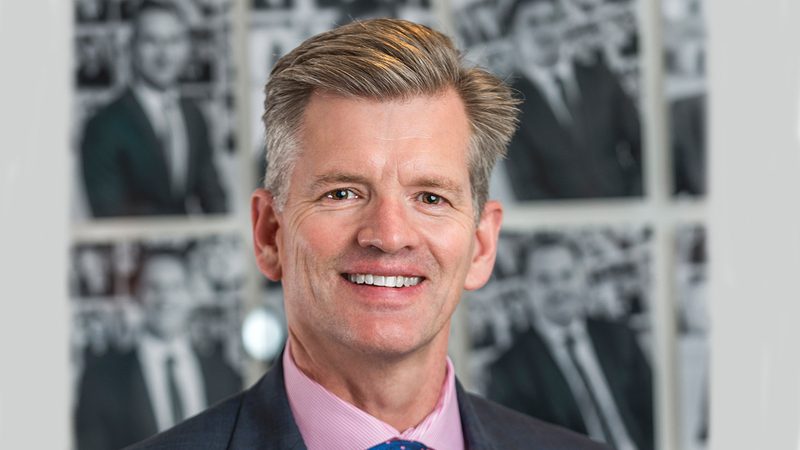 Having made the strategic decision to become a non-selling principal from the beginning, Ewan Morton has spent his time curating Morton Real Estate’s leadership and development program. 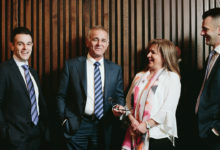 He has created opportunities that have seen his team grow and expand to offices across Circular Quay, Pyrmont, Woolloomooloo, Green Square, Wentworth Point, Penrith, Riverwood and Crows Nest – in the process establishing Morton as a dominant player in the building management field and as a specialist in Sydney CBD and city fringe residential sales. Morton has since helped the company flourish from a rigid sales-dominated agency with a rent roll of just 40 to a more fluid operation, with property management now accounting for around 50 per cent of the company’s turnover. “We work hard to keep that balance, because the property management division has always saved us during hard times in terms of having consistent cash flow, but not having to reduce infrastructure,” he says. Another area in which the agency has proved itself particularly adept is in having its ability recognised on a national stage. Part of the reason the agency started entering industry awards was to raise its profile. But, since winning their first industry award more than a decade ago, the focus has since shifted to that of demonstrable consistency. The reason we grow has nothing to do with money – it’s got to do with giving people challenges to make sure they’re growing. “Since 2004 we’ve been a finalist 90 times and won 33 awards. The reason we do the awards is because it demonstrates consistency to both our customers and our people. When someone comes to work for us and they see that we’ve consistently won these awards, they know this is a group of people that takes excellence seriously. The awards give you a point of review and they provide a moment for you to reflect, which I think is a good thing. The submissions do everybody’s heads in, but now we’ve started on this path we can’t stop,” he says. Having benefited from the wisdom of those who have preceded him in the real estate community, Ewan believes that it is important to give back. He operates an open-door policy at the agency and says he has always been “open to sharing” both successful and unsuccessful strategies. 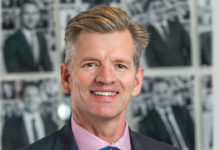 Currently providing informal mentoring services to an executive outside the industry, he hopes to use his role as a director of Real Estate Institute of NSW to reinstate its mentoring program. A father to three daughters aged 15, 14 and 12, Ewan says that, while work remains extremely important to him, his family has taught him the importance of finding ways to blend his professional and personal life. Attending his office’s auctions held each Saturday while also honouring his commitments as a director of REINSW is a key priority, but no more so than ensuring he is also present at important fixtures on the school calendar. While he professes to work an average of 50 hours a week spread across five days, in truth, after work events and team commitments are factored in, the scope often creeps. He practises what he preaches, however, and flexible working conditions remain a core component of the agency’s ability to retain a high-performing team and keep its employee engagement at 94 per cent across the board. CATHERINE VISSIERE is the Head of Marketing at Rockend. For more information visit rockend.com.au.